For many, choice of wine is as important as choice of food when gathering with friends or family for a meal – and rightly so. At Brasserie Blanc we are well known for working with small, specialist vineyards in France – as well as larger wineries in Europe and around the world to create our extensive, comprehensive and, we hope, interesting and appealing wine list. Just recently we added an exciting new product to our portfolio – our very own, bespoke house sparkling wine. Our Mousseux Premium Blanc de Blancs. Is our truly delicious response to the huge popularity of Prosecco and we are over the moon with the fresh, fruity result. Working closely with wine specialists Matthew Clark, the sparkling wine has been created using a range of French grape varieties including Ugni Blanc, Airén, Macabeu and Muscat Blanc à Petits Grains. It is naturally fermented and aged for three months; it has a pale golden colour and heady floral aromas of ripe apple, pear and pineapple; it has a light ‘fizz’ and is vibrant and fresh on the palate…what a gem. 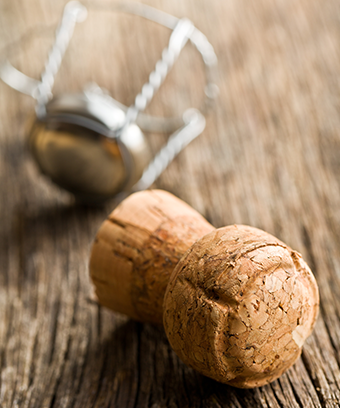 We believe the BB Blanc de Blancs is a unique and great value addition to our fabulous wine list and gives our many wine enthusiasts another excuse to get excited and raise a glass.